Chiropractor Care for car accident victims. One of the first responses police officers hear is, “I’m fine”, “my knee is a little sore ,but I’m okay”. The problem is most of the time we’re not okay, we’re in denial, because we can’t afford to be sick or hurt. There’s a big presentation at work, or you’re a single parent and you have children that need you to care for them. We want to be okay; we can’t afford to be laid up in bed, or even taking the time for a check-up at the hospital. Chances are good that you’ll be in an accident in a car or motorcycle in the next ten years, if you are and you’re hurt, chiropractic can cut your down time in half in many cases. 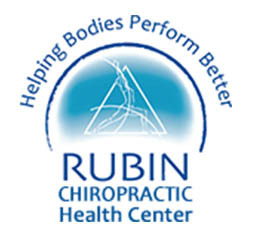 Patients at The Rubin Health Care Clinic, who have been in car accidents and collisions heal faster and correctly than people who don’t receive chiropractic care. Whiplash experts will tell you that over 90% of people in car accidents and collisions will suffer pain as much as ten years after the accident; don’t let this happen to you. The number one reason people suffer from chronic pain after collisions is because they don’t get proper care, The Rubin Health Center has all the diagnostic equipment and 21st Century equipment to ensure that you’re healing correctly, so you don’t have problems in the future. Whiplash, neck sprains, strains, and concussions are just a few of injuries that don’t receive proper care and treatment to make sure you don’t suffer years later, from an injury that wasn’t treated properly at the time of the accident. Many people come to us with dizziness, shoulder issues, stiff necks, bad knees and lower back problems that could have been treated properly at the time of the accident and they would never have been a problem again. It’s common after car accidents for the upper cervical spine to be out of alignment and this affect the nerves that control the nerves in your face and inner ear, which will cause dizziness that’s easily resolved after the time of the injury. You don’t need to suffer for years with a problem that can easily be remedied. Patients who receive Chiropractic care experience a ninety-three percent improvement after an eight-twelve week program of chiropractic care to help them resolve issues from car collisions. In many cases people are a hundred percent after just a few weeks. Doctor Rubin can do an exam to determine how severe your injuries are, to determine where the injury is and how best to resolve them. If you’ve been in a collision, the Rubin Health Center in St Petersburg can help you to heal faster and correctly. 20 to 50 million people are injured or become disabled as a result of a car accident every year. If you’re in an accident, you may suffer from back and neck pain, spinal injuries, and/or whiplash. Unfortunately, car crashes can cause many different injuries to various parts of the body. Most injuries depend on the circumstances involved in the accident and the severity of the impact. As a victim of an auto accident, you can suffer a lifetime of pain and misery if you don’t seek the proper treatment for your injuries. These injuries can take a serious toll on your health due to chronic, lingering pain. It is reported in many studies that almost 80% of whiplash patients suffer chronic pain associated with the collision 10 years later. This is mostly due to improper or inappropriate care. Chiropractic care may offer you pain relief without the need for medication or surgery. Chiropractic care combined with massage therapy has been shown to be one of the most effective methods for resolving soft tissue and spinal injuries associated with automobile collision injuries. Whiplash is a well-known and frequent injury sustained in car accidents. If you experience whiplash, this can cause your spine to become unstable and cause you to feel pain throughout your body. The sheer force of the accident can cause the musculoskeletal system to become misaligned. Whiplash happens when the force of the car pushes a person’s spine backward and forward. This abrupt movement can make you feel stiff and sore all over. A traditional treatment option for car accident injuries is pain medication, which often masks the real problem. It does not get down to the root cause of the issue. Even though painkillers can provide short-term relief, they are not good to use as a long-term solution to your chronic pain problems. Prescription medicines cannot help you regain mobility. We offer a free chiropractic consultation to analyze your pain and determine a treatment plan which can provide you with relief. Results are often long lasting and help you become less dependent on medication. Chiropractor Care for car accident victims, cures the underlying causes of your pain without the use of painkillers or expensive surgeries. We can help relieve your aches and pain by making spinal adjustments, corrective exercises, and stretches to help reduce pressure on the muscles and nerves. This process, over time, can restore your mobility and quality of life. Are my car accident injuries covered by insurance? Most accidents are covered at 100%, which means no out of pocket expense. Here is a list of insurances we have worked with. 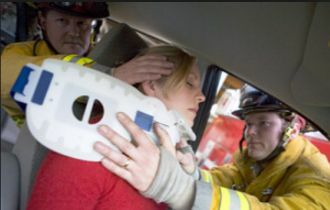 Car accidents can cause injuries in different areas of the body, including the neck, spine, back, head, legs, and arms. Do injuries show up right away? No. Effects from car accidents do not always manifest themselves quickly. It may take days or weeks before you experience symptoms or pain. 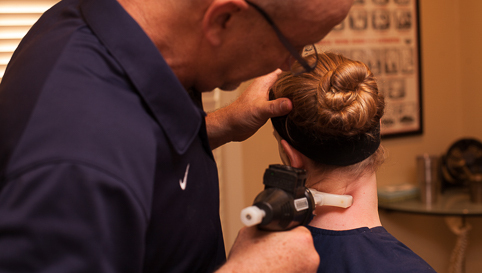 Untreated injuries can cause long-term pain. How is the body affected in car accidents? Your body is violently thrown forward or backward causing tears, stretched ligaments, and other injuries. Should I wait to heal naturally before seeking treatment? This is usually not a good idea. People who get prompt care after an accident are more likely to make a full recovery and heal faster. What if it was only a fender bender? Even minor crashes can cause serious injury to your body. Consult with your physician or chiropractor if you’re experiencing even slight pain. What other unique injuries result from car accidents? The causes of car accidents vary because each situation is different depending on the actions of each driver involved. The most common cause is driver error because a person can become easily distracted while he or she is driving. Most people are easily distracted when they use their cell phones; this includes talking, texting and emailing. It is estimated that 25 percent of automobile crashes happen because of distracted drivers. The other causes of car accidents are due to multi-tasking. Many people are not mentally capable of performing more than one task at a time. Eating, drinking, reading, adjusting the radio, and grooming inside of the vehicle can also make drivers distracted; this can slow down a person’s reaction time and put them at greater risk for getting into an accident. Driving when you are tired or fatigued is another cause of automobile accidents. You may fall asleep at the wheel and run off the road and harm someone. Come in for a free consultation with us by completing our online contact form or by calling us at (727) 822-1555 at The Rubin Health Center in St Petersburg Fl.